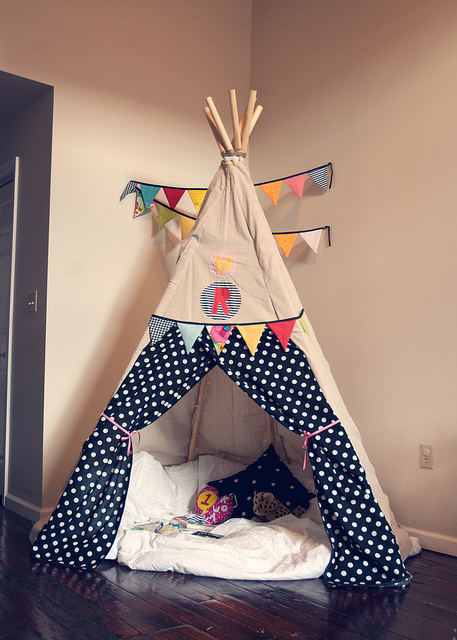 I'm super into these adorable teepees!! Wouldn't it be lovely to have your own private area in your house? Sure, you can go into a room and close the door, but having a teepee is just so much more fun!! It could be your reading nook, somewhere you just laze, cosy corner to spend time with your loved ones or every kid's hideout. 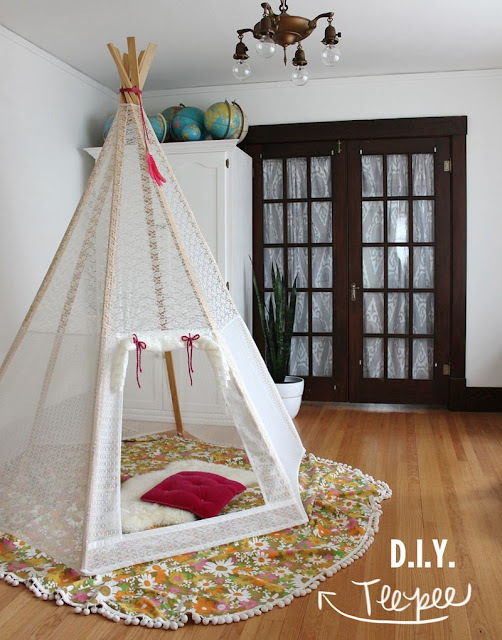 I checked Etsy out, and these teepees cost at least $150 on average D: That's pretty pricey for me so I went on to Pinterest and found these amazing DIY Teepees! Follow me @beaverwoo to see the rest of me teepee pins! 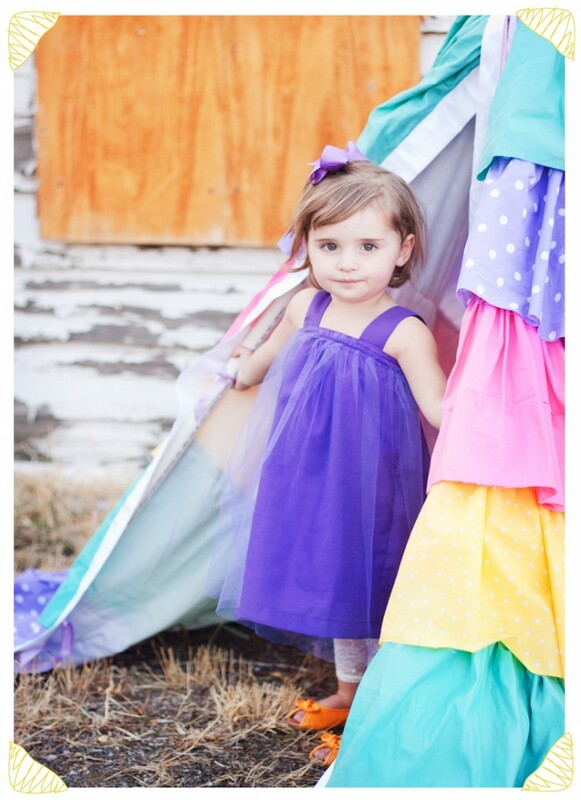 They are all different teepees, and pretty in their own ways! Makes me want to have one of each..I can imagine decorating mine with buntings and fairy lights. Perhaps have a curtain as well. Throw in some pillows and cushions plus some comfy throws and that would be great. I don't think I would even mind sleeping in it. A random thought just struck me. 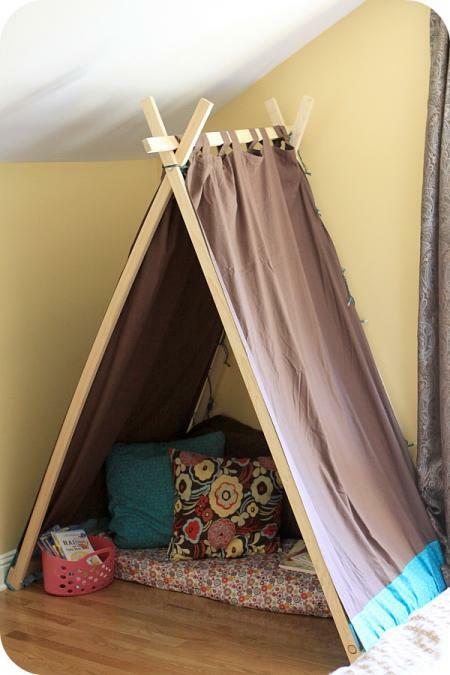 Wouldn't it be great if you had a slumber teepee party at home? Or well, space could be an issue there if you were to have a few teepees..but what about a teepee party in the backyard (which many of us probably don't have) or by the beach or in the park? I don't know if they allow that in public places but if it's possible..why not?! 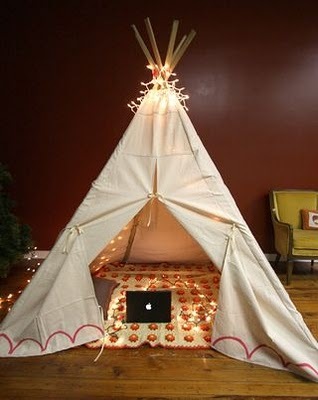 It would be way cooler than tents!